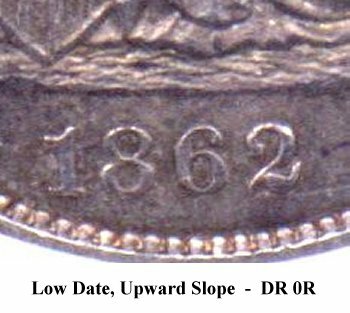 Comments: The low and upward sloping date is an easy diagnostic point for Obverse 5. 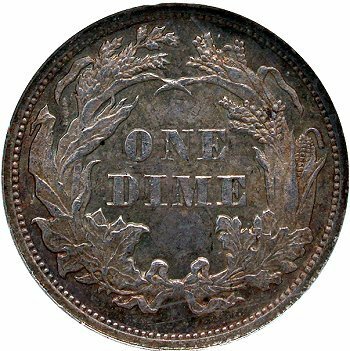 An early die state exhibits a boldly repunched 1 digit that is obvious under loupe. The repunching is clearly visible under the flag and the base. 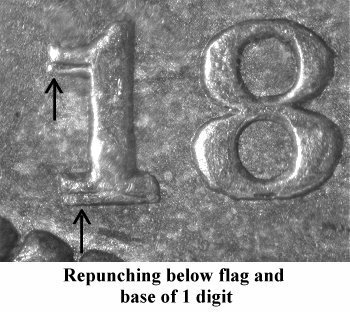 Traces of repunching can also be seen at the bottom of the base of the 8 digit. This repunching fades quickly. 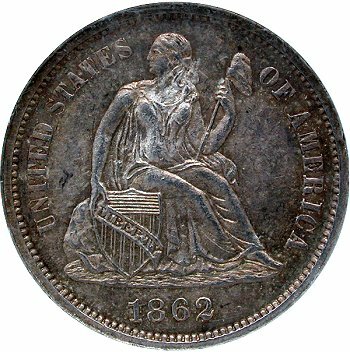 Nearly all Obverse 5 examples seen do not show repunching. 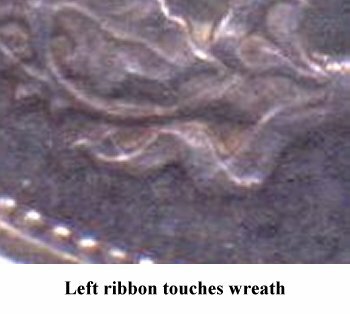 The repunching could have worn down quickly or the obverse die may have been lapped. See Variety 105a for further comments. This variety is considered to be very scarce as I have seen less than five examples.